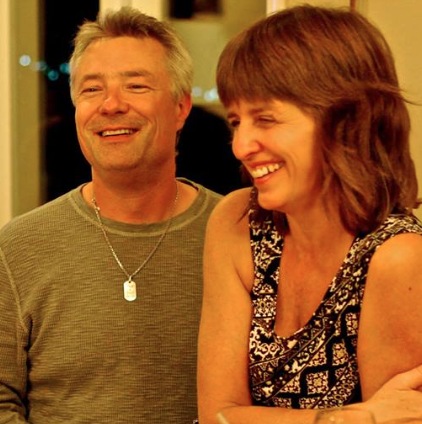 In 2010 a good friend of Paul & Terri Hergott’s was killed in a needless car crash. This tragedy, combined with years of witnessing the aftermath of preventable car crashes, inspired Paul to launch his One Crash is Too Many campaign. 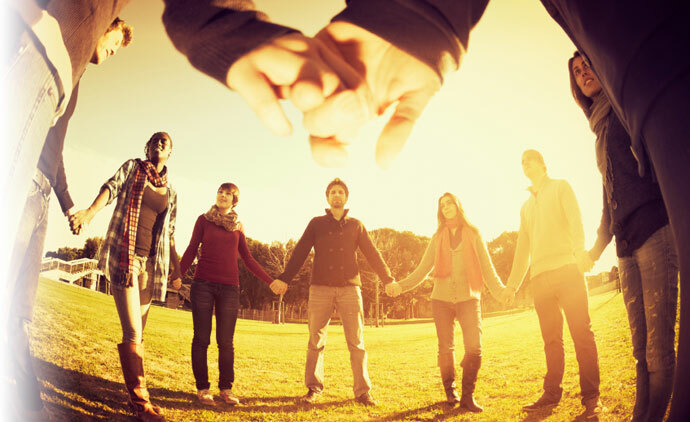 We take pride in our community and strive to make a difference. 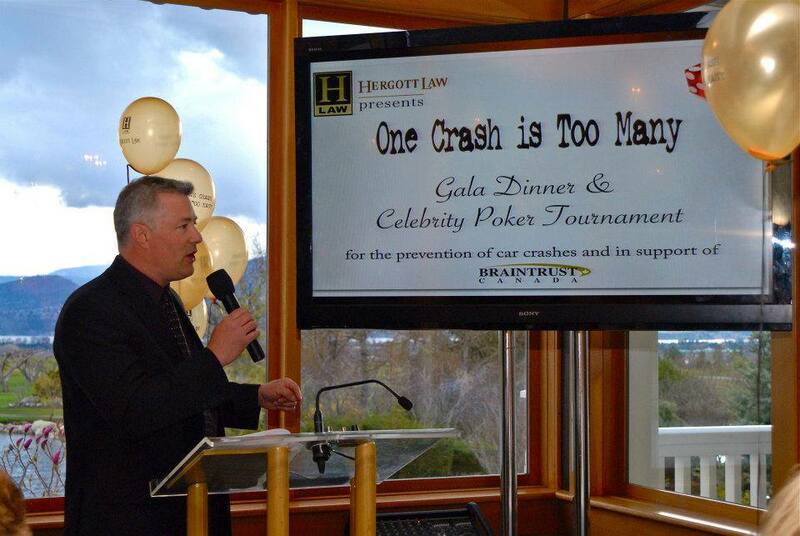 Since Hergott Law opened in 2007, 100% of all notarial fees have been donated to non-profit charity organizations. 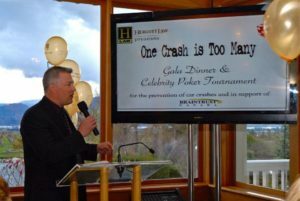 In March 2011 Paul & Terri participated in Central Okanagan Hospice Association annual fundraiser, “Swinging with the Stars”, and along with their fundraising team, raised $25,000.00 for Hospice and raised the bar for future participants in the event. Hergott Law served hot dogs and dancing with its Westside Daze parade float – the kind of exceptional service you can expect with The Hergott Law Difference.